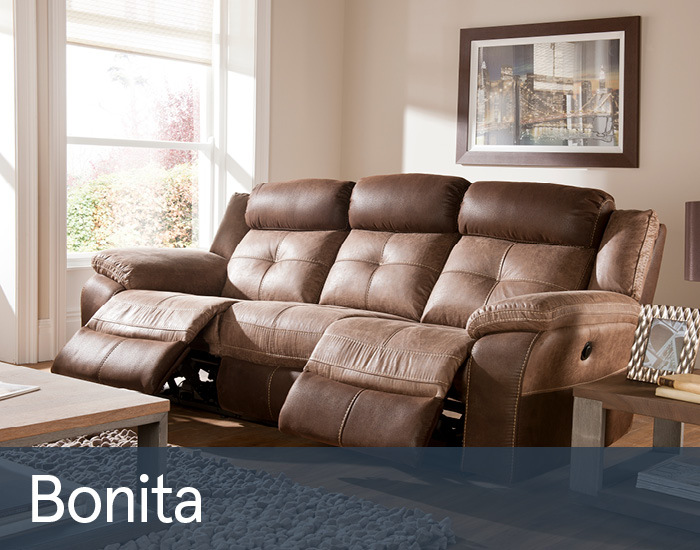 Bonita will bring real style and comfort to any modern living space. Attractively upholstered in a fashionable combination of 2 complementing easy-care fabrics, it has neat contrast stitching and a contemporary quilted detail. Then sit back and relax in complete comfort with full chaise reclining seats and plump integral head pillows. Expertly hand crafted from quality materials with a durable reinforced wooden frame and fully sprung platform, Bonita will give years of enjoyment.